Quickfire supports 400 games at 100 operators who service 20,000 players placing over 50 million bets a day. It is Microgaming's solution to enable them to distribute their games to a very wide range of online casino platforms. From the list below you migth recognise some very big brands that you might not traditionally associate with Microgaming. Players love the fact that they get to pick from a much wider range of casinos that now offer the amazing game titles. Through Quickfire, Microgaming's extended it's award winning game selection to literally hundreds of leading online gambling brands. 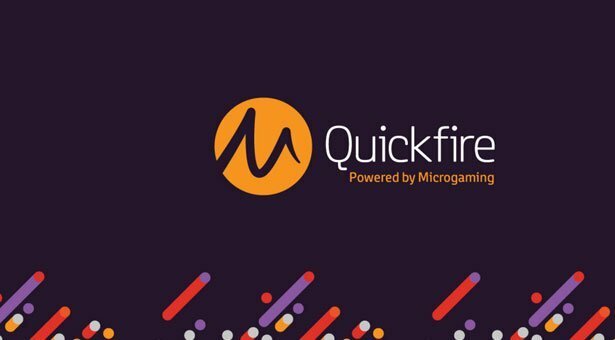 Quickfire is a games content platform powered by Microgaming. It enables casino that run on platforms other than the Microgaming Viper System to gain access to the Microgaming content with the help of a simple, but fast, integration process that works across all flash and mobile platforms available out there. After the initial integration of the Quickfire platform casino operators have free access to one of the largest online progressive jackpot networks known in the industry, where new games are released monthly, where you can find the biggest blockbuster games of Microgaming, among which Thunderstruck II, Hitman, Battlestar Galactica, Hellboy and Lara Croft: Tomb Raider. Since it was launched in 2010, Quickfire has been developed considerably in providing unique gaming experience. By serving as a network for content coming from partner developers, through which large quantity of games are released casinos can have a better and complete control over their gaming offer. No additional processes are needed for the releasing of new games. Read more about the White Label Platform Providers The License Quickfire Games in our In-depth Editorial series.. The Quickfire platform is effective solution for offering over four hundred games that were thoroughly tested, with monthly game releases, and where regular players are guaranteed fresh new contents. It contains the biggest online progressive jackpots network and games are available in many different languages, while betting is performed in multiple currencies. All contents developed by partners can be easily integrated in Quickfire. Finally, it is complaint with most major gaming jurisdictions. The powerful benefit of operators using Quickfire is that they can easily access Microgaming games even if they are using other platforms. 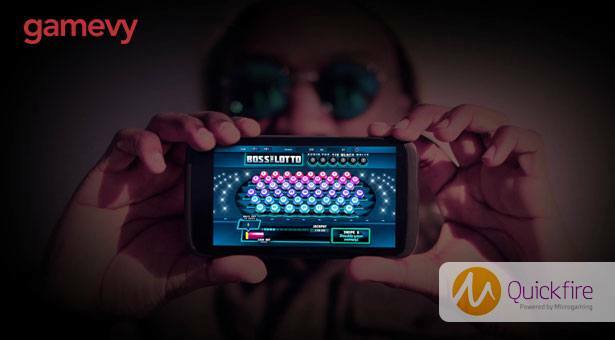 It is designed for operators offering casino, poker, live dealer and mobile services and that wish to be able to provide access to Microgaming content that can be played instantly, by using a simple and fast process of integration. All of this makes Quickfire the top choice for online casino games operators. Quickfire’s popularity has helped the platform to be available at many online casinos. The new games in Quickfire, together with the many games supported for it, are highly compatible with mobile and tablet devices. The games are even more enjoyable because of the design of the platform. Because of this the people from Microgaming see a greater demand for these games in the future, primarily because the platform is available for various devices, and not just for PC or laptops. It especially appeals to players that need to move around. They will be extremely happy with these games. Microgaming’s content offers a variety that will appeal to all existing customers, but it will also help in attracting new players in the future. Gamevy has won a number of industry awards and is well-known for its original games and titles.